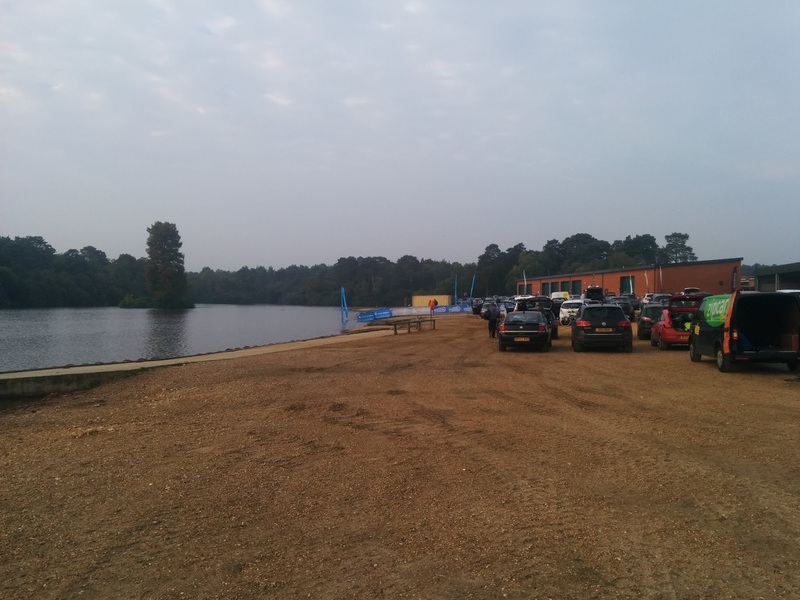 Treading water, just ahead of the two yellow start buoys, two things were going through my mind; "this water is NOT 16C" and "how exactly did I end up here, at the start of the Huntsman Triathlon 2015?" I guess then, before jumping straight into the race and my experience of my first triathlon race I should fill in a bit of detail - a back story if you will. 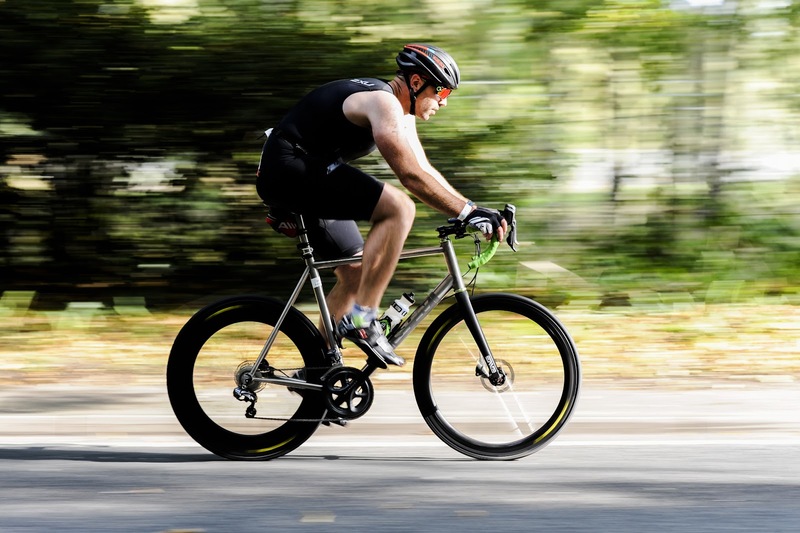 The thinking was that a Triathlon would give me a goal and anyone that knows me also knows that without a goal to aim for I lack the self discipline to train to my full potential. So, we started training - well kind of! What happened in reality was that Donna started running and really got into it, joining a local running and then Triathlon club and running a 10k and two half marathons and completing a Sprint distance Triathlon in Petersfield - making my both jealous ans very proud at the same time as she juggled this with looking after our daughter, Isabelle, and returning full time to work. I, on the other hand, just cycled - a lot!! Cycling, aided by the new (dream) bike from Spin Industries, became my "thing" again and lead to me talking myself out of the Huntsman much to the annoyance and disappointment of Donna although she did well to hide the majority of this from me. My Sp!n Lightning X1 Custom with Spin 50/90 wheels - bloody quick! It was a little while after a really good and enjoyable London-Surrey 100 ride that I decided to get back into Time Trials (hence the wheel upgrade above from Drew @ Spin) and joined the Hedge End Running Club's Triathlon club (HERC Tri) both to ride with some new people and as there was the option to ride "for them" in some TT's in 2016. Well put like that there wasn't anything I could really say in my defence was there?! So I, in technical terms, "grew a pair" and told Donna that I'd be there, on the 11th of October 2015, at the Huntsman alongside here for my first Triathlon. 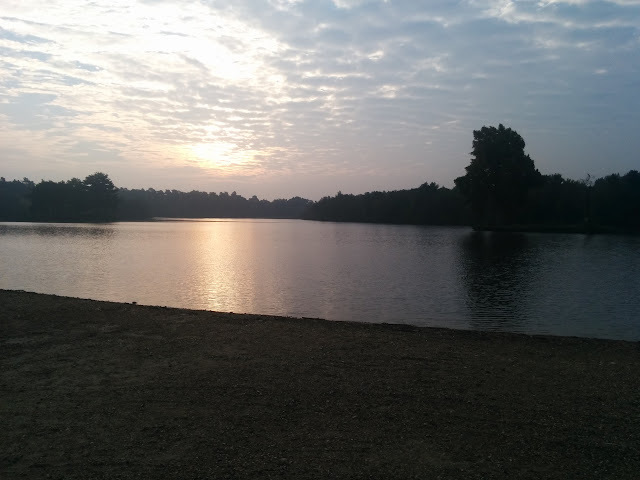 We arrived fairly early at about 8am to a beautiful view across Hawley Lake and, having registered the previous day, took advantage of the 2hr gap before our start and wandered about a bit to orientate ourselves and then headed to the transition area to rack our bikes and sort out kit. Nerves, apprehension and trepidation had all hit me like a ton of bricks in the run up to this morning and thankfully I wasn't alone in my nerves as Donna was also feeling "a little queasy" on the drive to Hawley Lake (nr Farnborough). 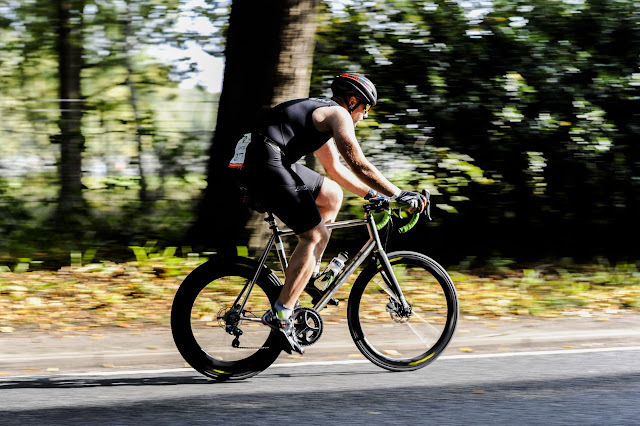 We both had our demons, for me it was the complete unknown of Triathlon itself and, specifically, the dreaded Transition between swim-bike and bike-run, for Donna it was the 750m of open water swimming in Hawley Lake. The process and, for some, ritual, of arranging your kit in transition is a fine art for those in the know but for me it was a case of laying out the things I'd brought with me and, after the 9am safety briefing, then getting into my wetsuit and waiting for the instruction to get into the water and wait between the yellow "start" buoys for the 10 second count down to the start. Man it was cold in the lake. I'm sure the announcer was lying, or at the very least stretching the truth, when he said that the water temp was 16c - it felt like 5c! Thank God for wetsuits and my Zoot Z-Force 3 suit was both comfortable and warm - the next 15-20 minutes would show how good it was in race conditions. 10, 9, 8, 7, 6, 5, 4, 3, 2, 1...... GO! and we were away, the 141 competitors undertaking the Sprint distance Huntsman triathlon were off on the 750m swim course around Hawley lake. My official time was 16m03s placing me 33rd out of the 141 sprint competitors - happy with that! I made it out of the lake, hitting my shin on the concrete slope out of the water and pricking my finger on something which, while it didn't hurt, made it bleed like hell all over my bike and wetsuit. I thought I was doing ok until I tried to put socks on and got very lightheaded so I took my time and, deciding just to stay in my 2XU Tri suit, headed off out of transition with my bike and then off on the 20km bike stage. In hindsight my T1 time of 4m07s could have been faster and there were some things I could have done to make life easier - towel over the bike so it was closer to hand would have been one thing! 110th overall for T1 time (4m07s) - some improvement possible there I think! The initial mile or so of the bike leg was fairly painful due to the traffic and number of other people riding along the A327 but once I'd made it around the round-about and on to the A30 things calmed down and I settled into the ride. I felt strong on the ride section, passing a number of people, and was happy with my 20ish mph average. Could I have gone faster, yes. Should I have gone faster, no. As the next stage was the 5km trail run - by far my weakest event. My ride time of 35m12s placed me 6th overall in the ride - the 5 riders who were quicker than me finished 1-5 respectively in the overall standings - again, happy with that! This transition stage felt much better and my time off 1m18s placed me 84th, much better than T1! The 5km run was the part of the triathlon that I was least looking forward it being my weakest event and also the discipline that I done the least training in - oops! Out of transition and on to the trail the path raised uphill almost straight away and my legs were burning all the way to the top of the hill. From there things got a little better and I settled in to the run, glancing at my watch every now and then to check my current min/mile pace. I was overtaken a number of times on the run and some of the runners, including the guy in the GBR kit, passed me like I was standing still which you'd think would be demoralising but I kept saying to myself "I passed you on the bike"and that got me through! My time on the run, 29m12s put me 79th in the running leg. The finish line, I've made it!!! Standing just over the finish line with my medal/trophy and pint of alcohol free Erdinger I felt really good - happy that I'd completed it, keen to see my overall times and hopeful that Donna had also enjoyed the event as much as I had. 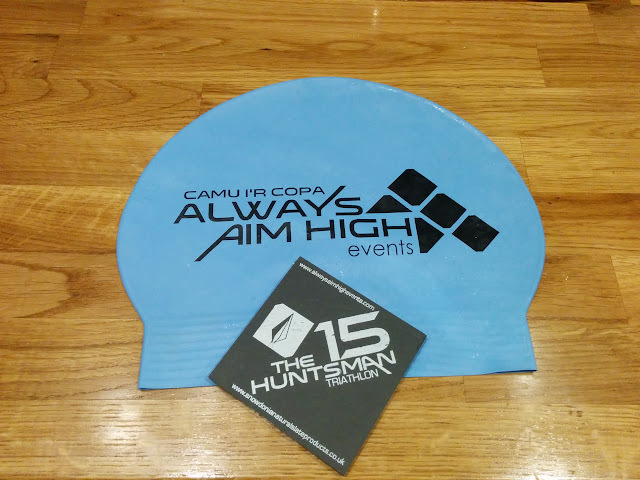 In summary my experience of triathlon at the Huntsman 2015 triathlon was amazing and the event and organisation of the event by Aim High Events was also outstanding. 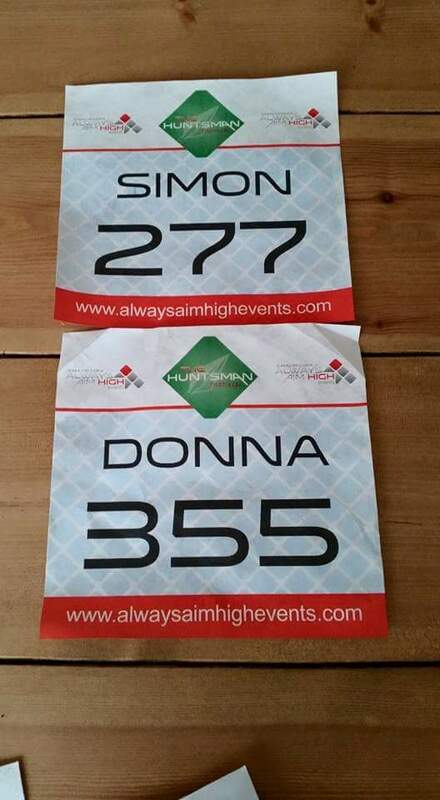 So, will I be doing another triathlon? Hell yeah! Although I need to do some work on my Transition times and running - another goal for next year then! !